Time to bring out more jackets and layer up because the temperature in Baguio City just hit another low today, making itthe lowest temperature again so far in the City of Pines this year. This time however, the mercury level dropped to 9.0°C or at 48.2°F. 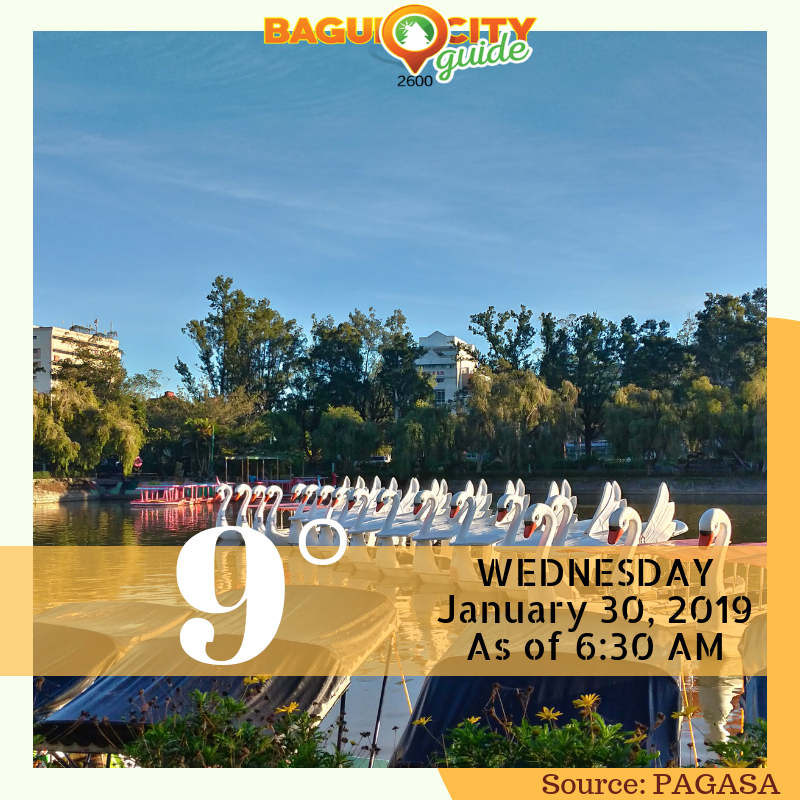 At 5:00 AM today, PAGASA recorded the temperature at 9.2 °C. 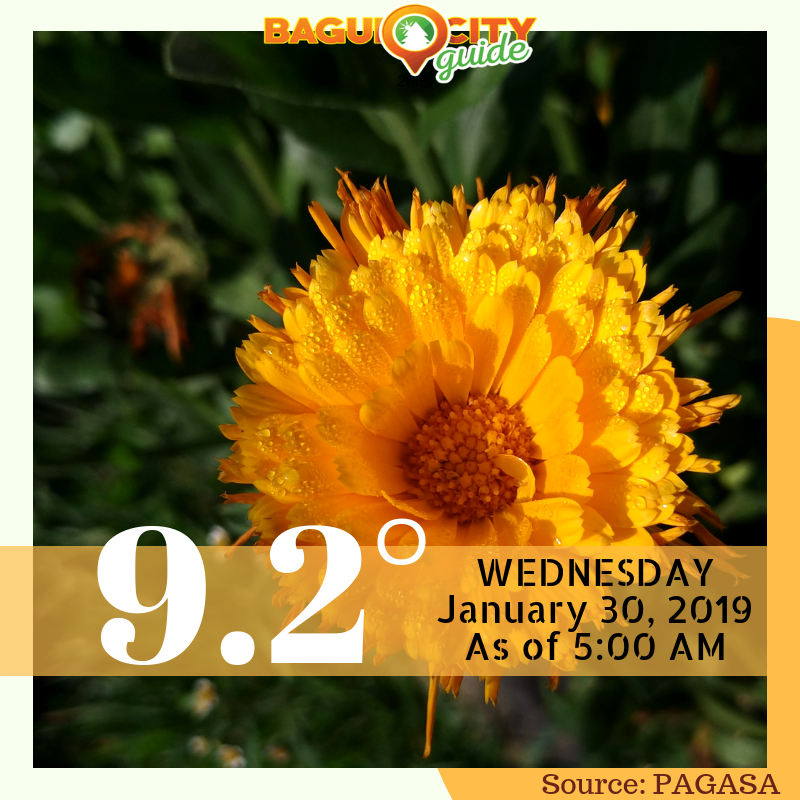 And just when we thought it was the lowest temperature for the day, it dipped again at 6:30 AM, not even 2 hours from the first forecast, as PAGASA informed during the follow-up that the temperature is now at a solid 9.0 °C or 48.2°F. PAGASA recorded another drop in the temperature. From the 9.2°C recorded at 5:00 AM, it went lower to 9.0°C. The cold weather is brought about by the Northeast monsoon, and there is a possibility for this cold weather to continue as the winds blows from moderate to strong speed at a northeast direction. January and February are two of the best months of the year to go to Baguio City. Why so? It’s the perfect time to enjoy the coolest weather Baguio City has to offer, we might even expect the temperature to go lower as the new month comes in, and also time for the Panagbenga Festival and while you’re at it, you can also warm yourself up with a good cup of coffee (here is a list of the most reviewed cafes in Baguio City).